Here’s what’s happening in the world of television for Thursday, March 22. All times are Eastern. 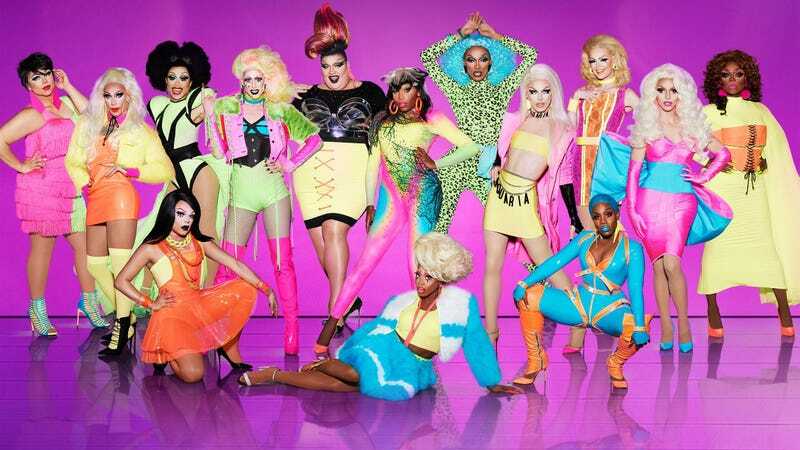 RuPaul’s Drag Race (VH1, 8 p.m.): In a decision that’s looked savvier and savvier ever since the premiere date was announced, RuPaul’s Drag Race is wasting no time following a lackluster, controversially concluded third season of All Stars. One week after Shangela was robbed by a flawed format and Trixie Mattel sashayed her way into the Drag Race Hall Of Fame (no disrespect to the Trixie & Katya Show co-host—this is pure hating the game, not the player), there’s a fresh set of transmissions beaming down from the mothership starting tonight. Drag Race kicks off its 10th season with an appearance from Christina Aguilera, and there ain’t no other man but Oliver Sava whom we want to hear commentary about this milestone season from. Portlandia (IFC, 10 p.m.): John Hugar makes a final sojourn to the Pacific Northwest as Fred Armisen and Carrie Brownstein put a bow (and then a bird) on their sketch-comedy series.